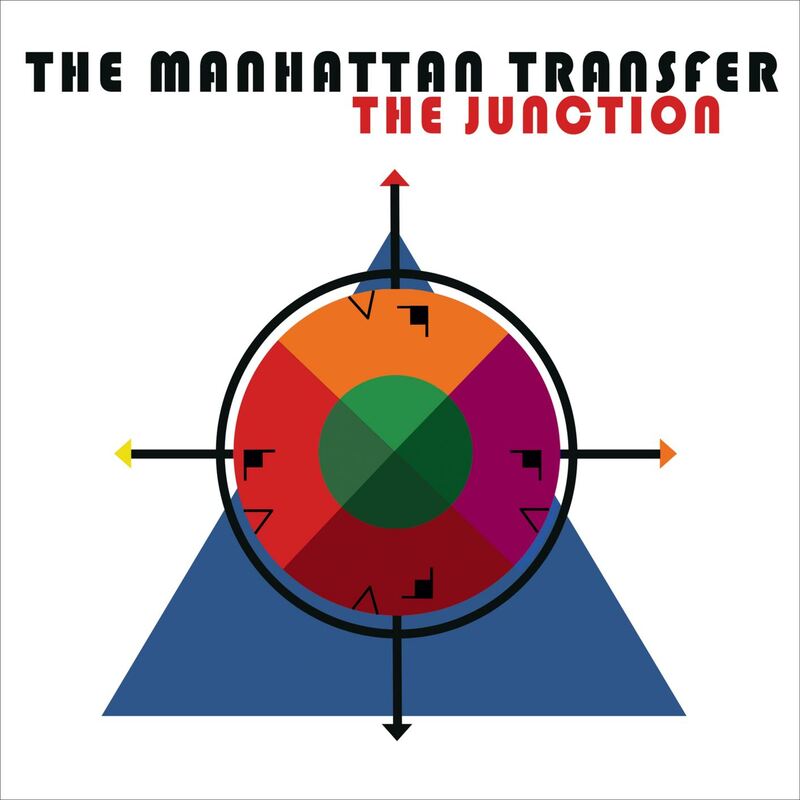 MANHATTAN TRANSFER Discuss Their Forthcoming Album ‘The Junction’ and Much More! Legendary vocal group The Manhattan Transfer will release their first new studio album in 10 years titled THE JUNCTION on March 30th via BMG. In conjunction with the release, the group will be seen nationwide with their new PBS special titled “The Summit,” a dual show with Take 6 starting April 26. They are also currently on an US tour with future dates listed below. The first single from the album, “Cantaloop (Flip Out! )” was released digitally as an instant grat track on February 9 and the album became available for pre-order on Amazon and iTunes on February 16. THE JUNCTION – the group’s new album which draws inspiration from The Transfer’s classic 1975 version of Glenn Miller’s “Tuxedo Junction” – features the group’s newest member, bass vocalist Trist Curless, who joined the group when late band founder Tim Hauser fell ill in 2013; officially joining after Hauser’s passing in late 2014. Curless (formerly of m-pact), joins Janis Siegel (alto), Alan Paul (tenor) and Cheryl Bentyne (soprano), as they release a collection of songs that includes five selections that the members wrote or co-write themselves. THE JUNCTION was produced by five-time Grammy winner — vocalist, film composer, arranger and producer Mervyn Warren. The forthcoming PBS Special with Take 6 — “The Summit” — will be part of public television network’s “Soundstage” concert series. “The Summit,” which was taped before a live studio audience at WTTW’s Grainger Studio in Chicago in January 2017, features the two groups who have been touring their richly produced, interactive vocal extravaganza for the past three years. In the special, they bring their unique brotherhood onstage as both groups incorporate their combined 10-part harmony, segments including “battle of the bands,” and a repertoire that includes songs neither band has ever recorded. 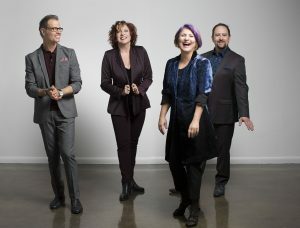 The Manhattan Transfer became the first act to win Grammy awards in the pop and jazz categories in one year (1981) for “Best Pop Performance by a Duo or Group with Vocal” for “Boy From New York City” and “Best Jazz Performance Duo or Group” for “Until I Met You (Corner Pocket).” In 1985, their album Vocalese made history as the single greatest Grammy nominated album in history in one year with 12 nominations. Vocalese earned two Grammys: “Best Jazz Vocal Performance, Duo or Group”; and “Best Vocal Arrangement for Two or More Voices” for “Another Night in Tunisia” (won by Bentyne and Bobby McFerrin). 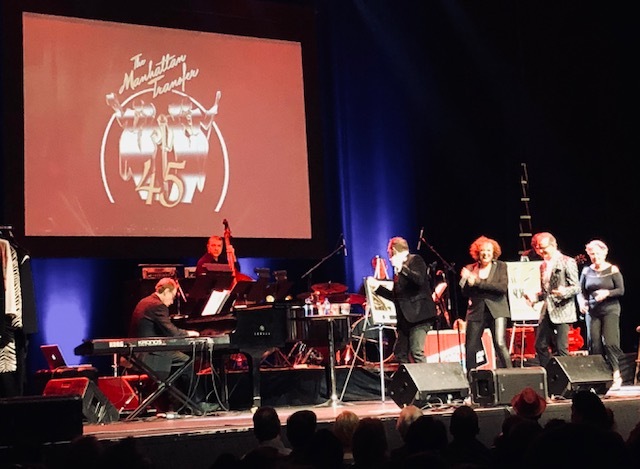 The album, which featured jazz legends Dizzy Gillespie, Ron Carter, and the Count Basie Orchestra, changed the perception of The Manhattan Transfer from successful pop artists to formidable jazz singers. All Access had the pleasure of attending their most recent show on Friday (March 9th) at LA’s Saban Theatre. The quartet performed many new tracks found on “The Junction” including “Cantaloop (Flip Out),” “The Junction,” “Sometimes I Do” and many others. 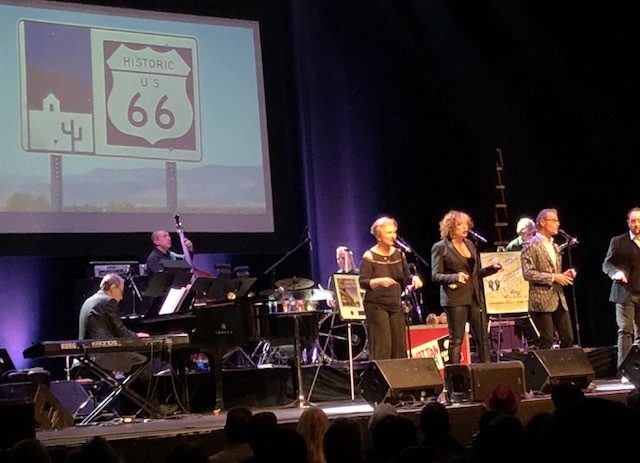 They also delighted the crowd by singing several of their most beloved tunes, like “Route 66,” “Java Jive,” “Operator” and more. 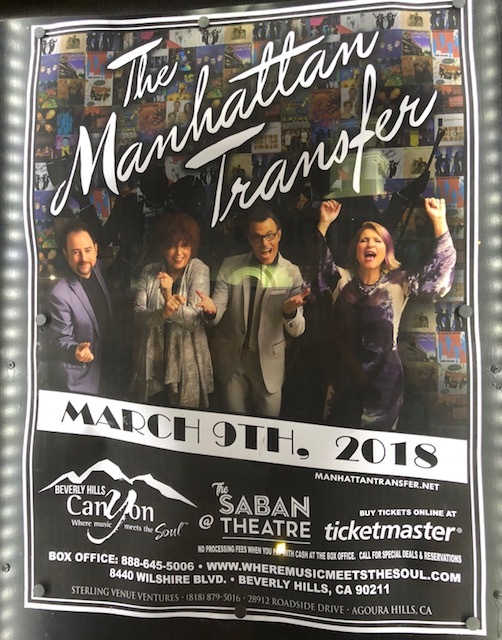 In between their beautiful harmonies, and incredible full band behind them, Manhattan Transfer shared their hearts with the sold-out crowd. They talked about what it was like losing former member and band co-creator Tim Hauser and that they have added Trist Curless to the group. The four of them truly had an amazing vocal connection with each other. It was also clear to see that they all love and respect one another as an evident companionship was clearly seen on stage. Thanks for your time! Where does this interview find you all today? JANIS SIEGEL– I am home in NYC- just got back from 2 solo concerts . I’m gearing up for meeting my partners on the road to do some 45th Anniversary concerts, which I’m very excited about . It feels like the beginning of another chapter for us right now. TRIST CURLESS- I am currently knocked out by the VIDEO release of Justin Timberlake’s video for a new song of his, “Say Something” with Chris Stapleton. I like the song ok on its own, but the video is a one camera, one-shot creation wherein the music is also recorded while the video is being shot… not merely synchronized with the recording of the song from the album. What is one musical goal that you have for this year? JANIS SIEGEL– (Personal) Three really: To be a better sight reader, to write more and to learn to use a looping machine on stage. 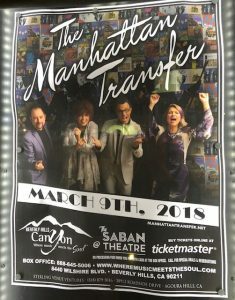 JANIS SIEGEL– The Manhattan Transfer is a classic novel by American writer John Dos Passos, about people from different backgrounds who come together in New York City , and how their lives change by this interaction. Sounds like us, no? 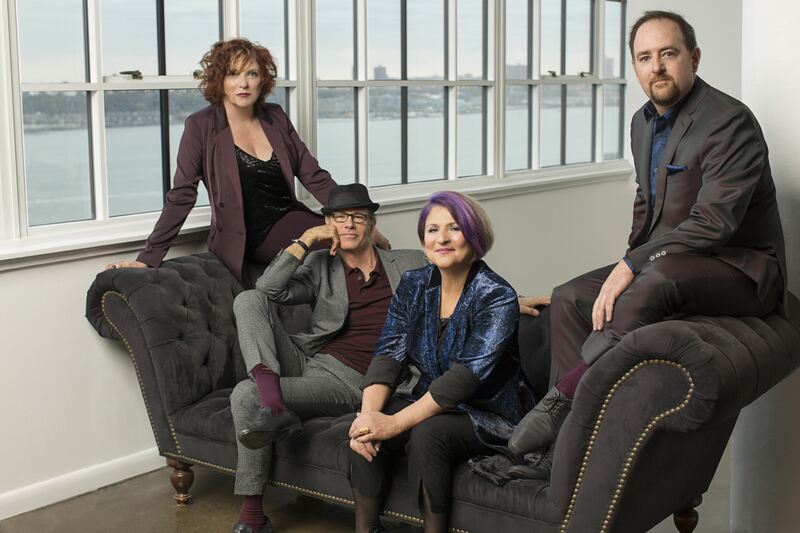 How do you think Manhattan Transfer has grown since you first started making music together? 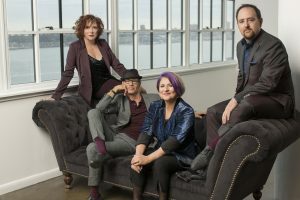 JANIS SIEGEL– The original group (myself, Laurel Massé, Alan Paul & Tim Hauser) started out doing vocal arrangements of close 4 pt harmony, which we adapted to different styles of music, and also pop/gospel voicings of the call and response type As we evolved and matured, so did our harmony. We opened ourselves up to more modern styles of harmony, used different vocal arrangers like Gene Puerling, Mark Kibble and Roger Treece.We started to do more vocalese. We are not quite as theatrical as we originally were -although I feel that everyones individual personality comes through on stage and we still are invested in entertaining people . How did your newest member, bass vocalist Trist Curless, change the group’s dynamics? JANIS SIEGEL– Trist is a unique personality with unique musical skills which add a new dimension to the group. Firstly, the blend has changed, since Trist is truly a bass, whereas Tim had a beautiful baritone /tenor voice . We all are very aware that no one could ever replace Tim…he was singular . However Trist brings skills that Tim did not possess- beat boxing, improvisation and again, a true bass timbre .Also since Tim was the founder and leader of the group , the internal dynamics changed and it has taken us a couple of years to get 0ur bearings…but now we are definitely on track and ready to see where this new configuration takes us. Let’s talk about your forthcoming album that you will be releasing next month called “The Junction.” It’s been a decade since you’ve put out new music so I am curious to know, why now? Did anything surprise you about the overall recording process this time around? Were there any unexpected challenges? Where did the inspiration for this collection come from exactly? JANIS SIEGEL– The big challenge was finding the time between touring , family obligations and solo work for recording in LA. Cheryl and I don’t live there -so we had to work it out in time periods where we were already on the west coast. We did do a little bit of recording in NYC though which was great for me ! The biggest challenge for me was “Ugly Man” which contains a lot of dissonance in the vocal arrangement – you have to be completely “on” your own part . Its almost like you’re singing in a different key. How do you think your just released single “Cantaloop (Flip Out! )” prepares listeners for the rest of this new album? JANIS SIEGEL– The sound is totally “Transfer-ish” – its basically a tight four part sound. Also it is based a classic jazz instrumental, Herbie Hancock’s iconic “Cantaloupe Island “ I think this track represents to a large degree where we are musically now . TRIST CURLESS- The new single prepares them in that they can expect it to still sound familiar enough to the group they are used to hearing, while knowing there will also be some surprises. I would love to know what you all think about the vocal jazz genre as a whole today? Do you find that you fill a hole in that area now? JANIS SIEGEL– I think there are some really exceptional young singers who are pushing the art form forward. My short list would be Jazzmeia Horn, Charles Turner, Michael Mayo, Esperanza Spauding, Jo Lawry ,Veronica Swift and Camille Bertault. They are re-inventing classic songs and forms in a fresh way. I consider jazz. This doesn’t mean I dislike the music at the festivals, it just dilutes (maybe strengthens?) the terminology and the public/consumer perception/definition of what Jazz is. The things I CAN speak more directly to is the art of vocalese (singing instrumental tunes, including improvised solos by adding a lyric/story in the recreation). This is the place where I’d like to see more artists take up the art… but I am not surprised by the lack of it, as it can be difficult and VERY time-consuming. Here’s to hoping some new artists emerge to take on this great art form! Where did the idea for your PBS Special titled “The Summit” with Take 6 originate? What was that experience like for you all? The “battle of the bands” segment sounds like it was fun! JANIS SIEGEL– With our manager Ed Keane. TRIST CURLESS- The show with Take 6 is pure joy for me. On the heels of becoming a member of one of the most significant harmony vocal groups ever, now given the opportunity to also perform with Take 6- the single most important influence in me personally, in regards to wanting to be involved in group singing-is just off the charts. Now it is also nice that we will still have them scheduled sporadically throughout the calendar. It keep things fresh and is a nice change of pace from our normal shows. JANIS SIEGEL– The whole thing is mad fun . These gentlemen are such consummate musicians but more importantly amazing humans. Its really a gas to do snippets of each others’ songs in our mock battle segment. The highlight for me is doing Gene Puerlings’ beautiful arrangement of “Like Someone In Love” together . How excited are you to be touring again now? JANIS SIEGEL– We have been touring consistently for 45 years…we actually never stopped. Have you performed at some of these venues before? Where are you looking forward to performing? JANIS SIEGEL– Europe in particular …..I think we may be performing for International jazz day in St. Petersburg, which is thrilling for me. For someone that saw you live 10 years ago, how do you think your shows have changed? JANIS SIEGEL– Different repertoire , not as much choreography or costumes changes -we still try and keep a high level of energy and audience engagement .And we always have a stellar band. Basically any show in Italy, I loved the Brazil show we did at the Universal Amphitheatre in LA and anytime we played Radio City Music Hall it felt that that hall was made for us. What would you say makes an ideal performance for this band? TRIST CURLESS- For me, and ideal performance for us is a full energetic theatre, filled with some long-time fans as well as newer listeners. Do all you help to maintain all your sites or is one of you more into it all? Or do you rely on your PR/management team to handle it all? TRIST CURLESS- We all maintain our own personal pages, etc, but there is a lot of help from our tour manager, esp when we are on the road. With the release of the new album, there are also folks in place to help expand the reach of the group. What do you think would be a dream collaboration for this group? We are living in a trying time right now so I am curious how you think being in this band gives you the most joy in life today? What do you hope people continue to take away from your songs? What do you hope they take away from one of your shows? JANIS SIEGEL– We view ourselves as a microcosm of sorts; people from different backgrounds, who have different likes, dislikes, family situations, personalities, quirks, talents and weaknesses…who come together for this greater purpose of making music. TRIST CURLESS- I just want people to enjoy themselves and take away a love of music and have them experience the love we have for sharing it. An Interview With The Cleveland-Based Indie Rock Band, MR. CARNIVORE!